It was not that long ago that the very thought of MotoGP without Valentino Rossi was almost heresy. 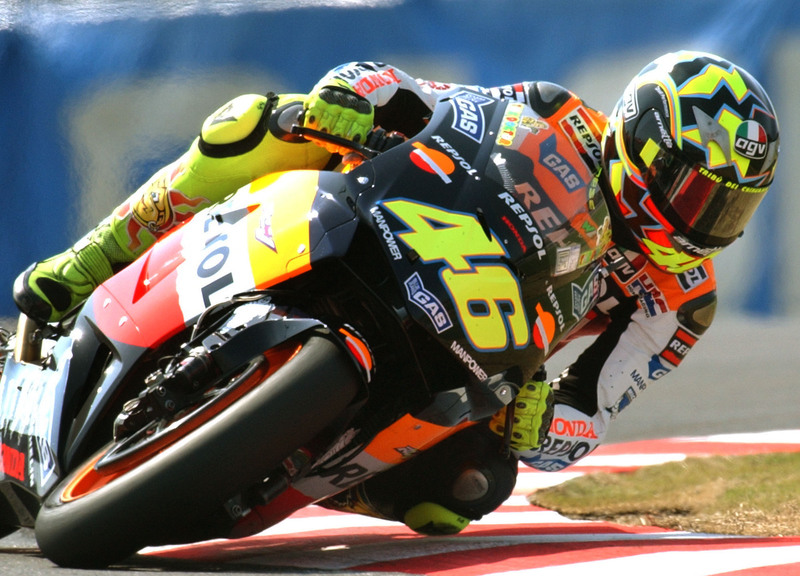 Although Rossi’s eventual retirement was an inevitable reality, there was some consternation about the future popularity of the sport and its existence as a saleable commodity without him. Rossi’s ability to engage such a broad demographic of fans, from children to retirees has given Grand Prix motorcycle racing the kind of exposure that other forms of motorsport would dearly love to have had. His post-race antics, charm and humility, coupled with an amazing ability to push a Grand Prix racing motorcycle to the very limit, using racecraft so ruthless it enabled him to regularly outwit his many opponents is legendary. 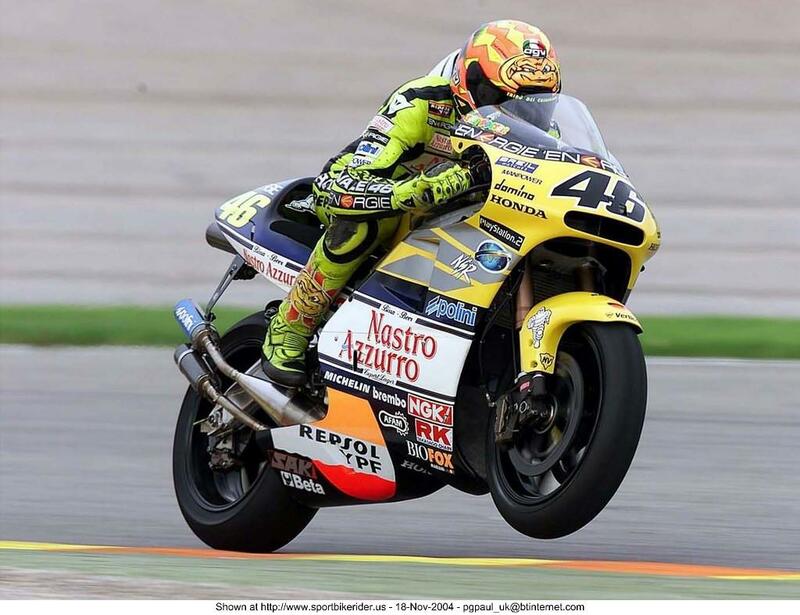 Rossi on his 2001 Championship winning NSR500 two-stroke. Rossi is arguably the greatest rider of all time, having won a record 80 MotoGP compared to the 68 of the great Giacomo Agostini. But next month, on February 16th Valentino will celebrate his 35th birthday, and after three years with only one win, Rossi has given himself six races before he decides whether he will continue in MotoGP in 2015. That sixth race will be his “home” Grand Prix at Mugello a race he has won a record seven times. The surprise sacking of longtime crew chief, Jeremy Burgess, at the 2013 season-ending race in Valencia, sent shock waves through the paddock. As Burgess pointed out at a pre-race press conference “I’ve read many sports biographies and quite often the top sportsman in the latter part of his career will have a change of caddy or a change of coach, and this is what we’re working on. We worked on fixing the problem for four years, and this is part of that fix, and this is the next step to try and get Valentino back on top.” But is there more to Valentino’s lack of form since his last championship in 2009? Valentino on the 990cc RC211V Honda 5 cylinder four-stroke. Burgess has also mentioned the “survival gene” that kicks in when a rider reaches their thirties and can erode a competitor’s ability to push to the absolute limits on a Grand Prix motorcycle. Micheal Scott, a longtime Grand Prix journalist and the editor of the authoritative annual Motocourse, had previously noted in his column, that during his long career Rossi had always possessed that bit of luck which saved him from serious injury when involved in a practice or race crash. That was not the case however in 2010. Rossi suffered a pre-season Motocross accident that severely affected his right shoulder and was not rectified until after the season had finished. But more tellingly a practice crash at Mugello, a circuit that Rossi had so much success on, bit back, giving the Italian a broken leg and for the first a time in his career caused him to miss not just one race, but three. Was the magic waning? Rossi after winning the 2010 Malaysian GP aboard his beloved 800cc four-stroke Yamaha YZR-M1. Dealing with a recalcitrant Ducati in 2011 and 2012 did little to admonish the growing number of doubters that believed Rossi’s star was on the decline. Perhaps more tragically though was the effect that Valentino’s innocent involvement in Marco Simoncelli’s fatal accident in Malaysia may have had. I for one cannot comprehend how difficult it must have been for Valentino to deal with. The most reassuring thing about Rossi though is his love of racing and commitment to the sport. As the owner of a new Team Sky- VR46 Moto3 team, which he formed in a bid to help cultivate young Italian talent for the Grand Prix, there is no doubt that Rossi’s presence and star quality will thankfully be around the paddock for many years to come. This entry was posted in Motorcycle Racing and tagged Ducati, Giacomo Agostini, Honda, Jeremy Burgess, Marco Simoncelli, MotoGp, Yamaha on 25/01/2014 by Geoff Dawes.